As part of its strategy to explore new marketplace models which provide an outstanding user experience, Schibsted Marketplaces is investing in the startup real estate marketplace Kodit.io. The investment gives Schibsted a small ownership stake in Kodit.io as well as a board observer seat. Kodit.io gives homeowners a stress-free way to quickly sell their homes for a fair price. The marketplace works by buying properties directly from homeowners and selling them on through real estate agents and their website. 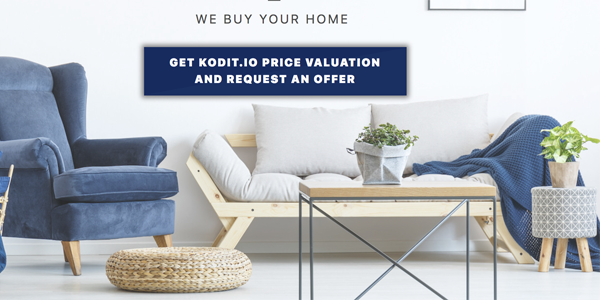 Homeowners who use Kodit.io can receive AI-backed evaluations and cash offers for their properties within 24 hours, with no need to renovate or show homes to the public. As sellers are not part of a chain of property sales, Kodit.io can also offer flexible moving out dates. Their model relies on close cooperation with real estate agents. “We have followed the progress of Kodit.io closely since their launch and have been impressed by the team’s execution skills, attitude and capacity. We are excited to join this journey and support the growth and scaling into more countries and cities. Kodit.io has a chance to become the leader in many markets in Europe,” said Jussi Lystimäki, Vice President for New Models at Schibsted Marketplaces. Kodit.io is already operating in Finland and Estonia, with the potential to launch in several new countries later this year. They are showing promising traction and transaction volumes – they have already bought more than 80 homes and completed 40 full sales during their first eight months of operation. With their light and lean approach they also show good potential to scale quickly to new countries. “We want to help Kodit.io grow outside of our current markets first. The main ambition is to learn how this new model functions, and how Kodit.io could scale to other countries and work together with our traffic machines in Schibsted,” said Lystimäki.